Amboseli National Park is Africa’s premier destination when it comes to viewing elephants in the wild, and mighty Mount Kilimanjaro on the skyline takes the photogenic splendour to the next level. 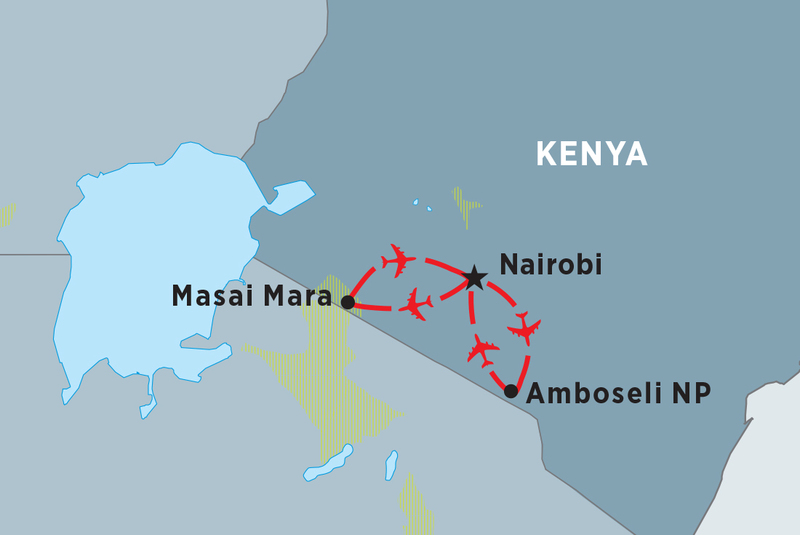 After exploring this vast expanse, head for the great plains of the Masai Mara. Renowned for its high concentration of big cats, hundreds of bird varieties and the annual Great Migration of wildebeest, zebra and gazelles, the Masai Mara National Reserve is one of Africa’s most spectacular attractions. On this short independent trip, enjoy leisurely breakfasts and quiet afternoons between explorations.